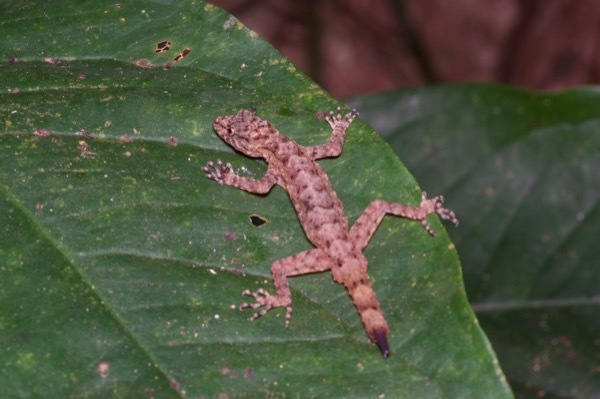 When I saw this resting gecko near the end of a long night hike, I just assumed it was another of the fairly generic-looking Hemidactylus we had seen in the same forest, and just took one quick photo. The next day I was looking through my photos, since transferred to my iPad, and realized that the skinny toes ruled out Hemidactylus. 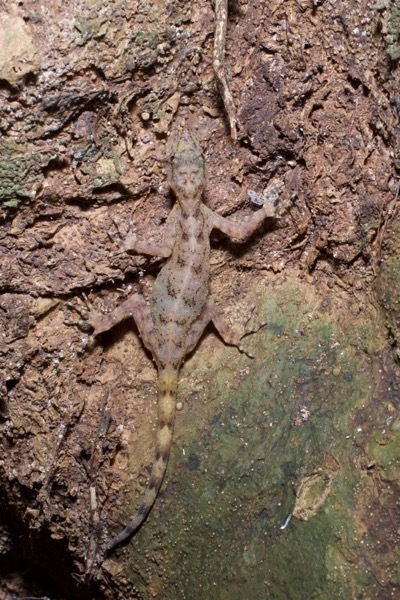 I thought it looked like Cnemaspis I had seen in Malaysia, but wasn't sure, and The Reptile Database didn't list any Cnemaspis in Ghana. Later, Dr. Adam Leaché identified the species for me. The next night I spotted another one, active at the base of a large tree trunk. It skittered away pretty quickly, but at least I got one decent photo.